feline hyperthyroidism | Anyone there? Well I said this wasn’t going to be a cat blog, and it won’t be, but I wouldn’t be me if I didn’t include this. 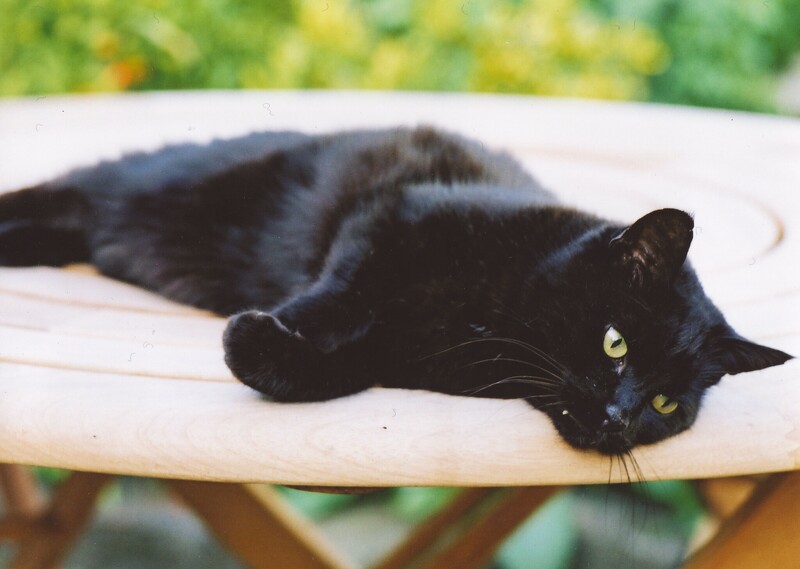 My beloved Scamp, our boy of seventeen-and-a-half years, died this morning. Not exactly in our arms, but with our hands on him, stroking him as he purred himself into oblivion and we tried not to upset him by sobbing on him before he went. 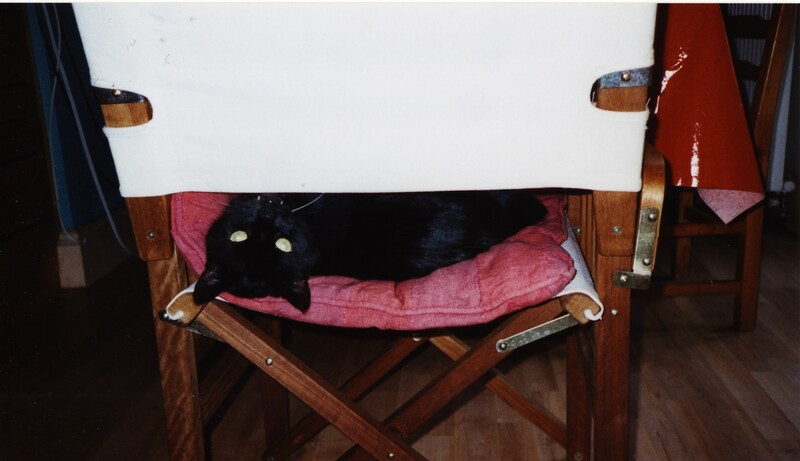 He had chronic renal failure, diagnosed in Sept 2006, which had progressed slowly over the last year-and-a-half, and he had also developed hyperthyroidism. Thanks to this site, and the yahoo CRF support group, as well as Dr Lisa Pierson and our own wonderful vets in Dublin, we had managed his symptoms very well, and kept him pretty happy. He was more or less symptom-free, and content with a regime of meds that didn’t traumatise him or make him unhappy. But last week he developed an upper respiratory infection and it turned out to be too much for him. Not the cold itself, but to get him over the hump of it we had to give him a feeding tube, and he was so frail he didn’t really recover from the GA. We knew it was a risk, but doing nothing wasn’t an option either: he had wanted to eat, and had perked up enough to make his feelings very well known, but couldn’t smell enough for the food to be tempting (‘no smell, no eat’ is a cat’s mantra) so we had to try to make things better for him. We tried syringe feeding but that obviously wasn’t going to be an option for too long, so the tube was the next best thing, and other than the GA would not have presented any problems. However, the GA left him very weak and feeble, and in the end he decided that enough was enough, and to let go, and all we could do was let go too. 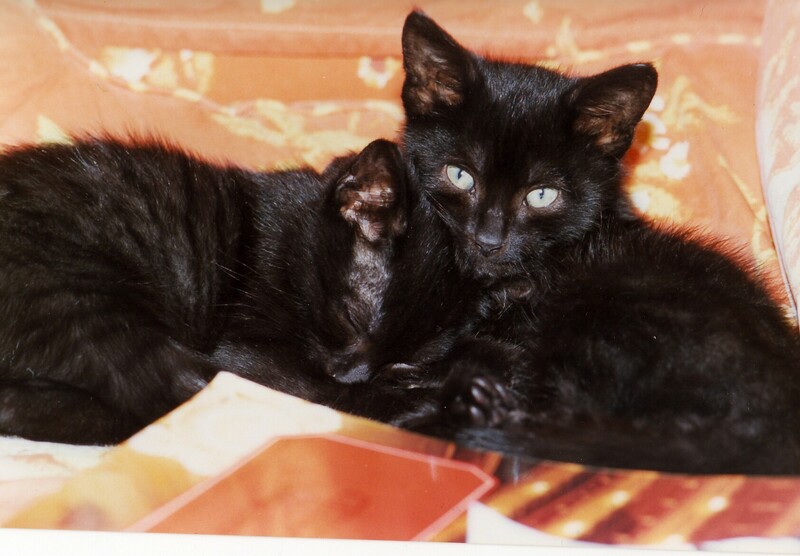 Scamp came into our lives with his brother Pucci, as tiny kittens from Cats’ Aid in October 1990, and what a pair of sweeties they were. 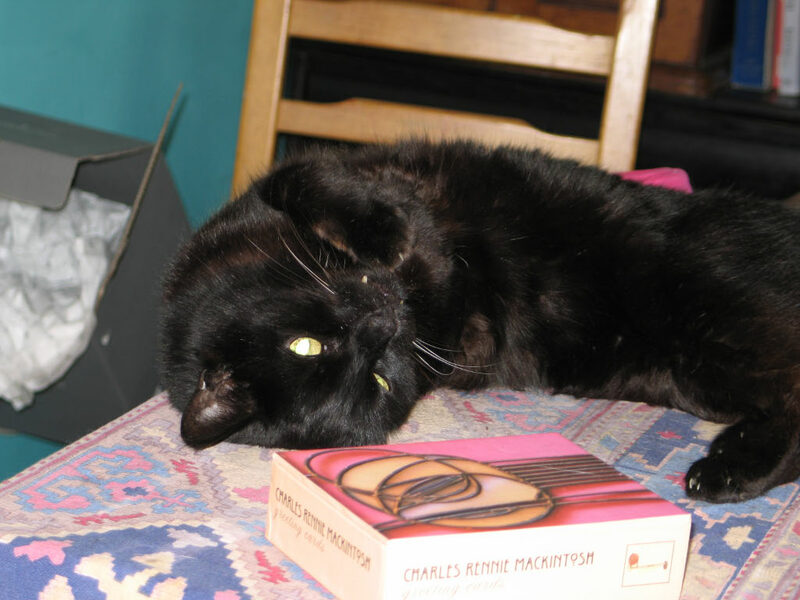 Pucci, who became diabetic but went remission (thanks to Dr Elizabeth Hodgkins), died in February this year from cancer. Scamp was such a diminished boy after that: he seemed like just half a cat somehow. And now that Scamp is gone it suddenly feels more real that Pucci was gone too—now he’s really gone—and it’s a double whammy. 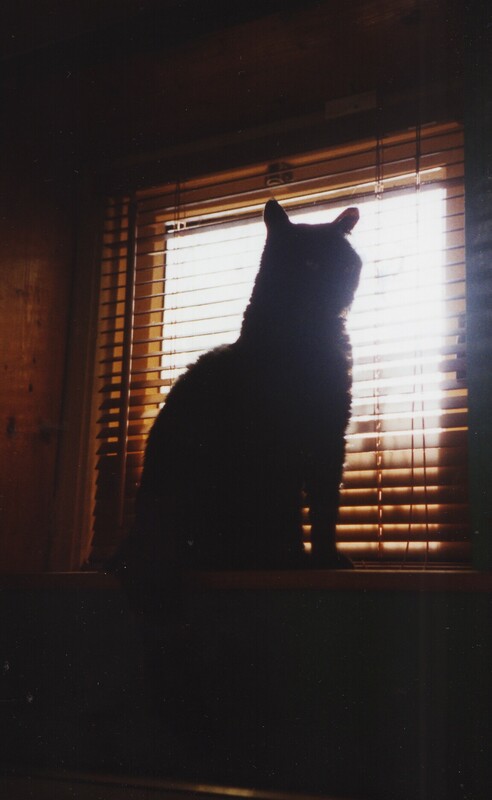 It really is the end of an era and I just can’t believe that my gorgeous prima-donna, handsome, cantankerous, thunderface, kitten-still-at-heart, playful, loving, beautiful beast is gone. It’s just not right, just as seeing him in an old, frail body wasn’t right for his young, Scampish spirit. Right up until he got this cold he was Scamp by name and Scamp by nature. We know that we did the best for him, both in his treatment while alive, and for his death, but it doesn’t take away from the pain which is now red raw, as anyone who’s lost a much-loved pet will know. I wish there was a way to fast forward through the grief and just appreciate the long and happy life he had. But ah, my boy, you are so much missed. RIP, handsome beast.